As a thriving port in the 19th century, Singapore was a hotbed of influences from different corners of the world. The intermingling of various nationalities begot the coalescence of resources, like the ingredients that grew into a significant part of our native cuisine and way of life. Plantations, lush with popular foods and spices like nutmeg, cocoa, and coffee, sprouted in many familiar locales during the period. For instance, Orchard Road once grew nutmeg and peppers, while its neighbouring Scotts Road bore cocoa and other tropical fruit trees. The onslaught of modernity and the great chase for economic progress that followed soon after independence made plantation culture a thing of the past, only accessible as concepts that kindle nostalgia and an appreciation for our history. Origin Bar, a new cocktail parlour at Shangri-La Hotel, is one such establishment. At first glance, Origin Bar looks like an Art Deco spin on a gentlemen’s club. 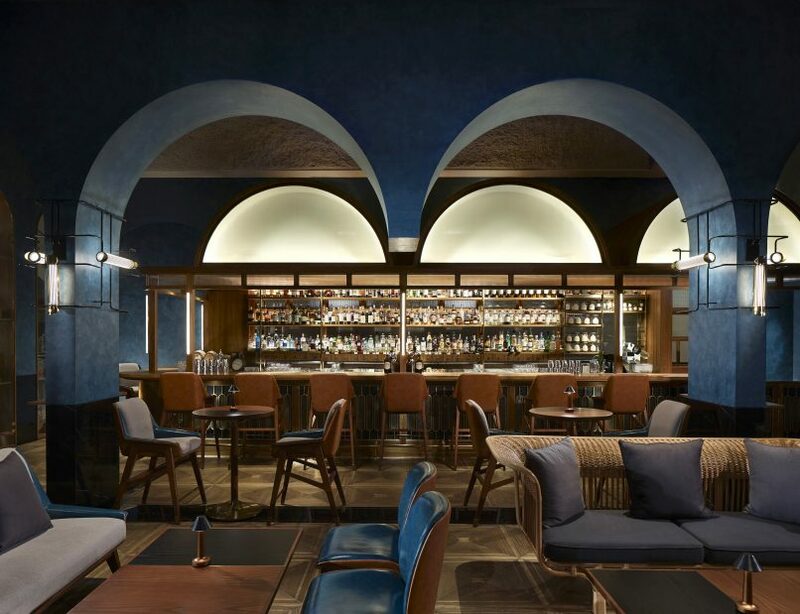 Prussian blue walls stretch into ceiling arches that separate the wooden bar counter, replete with gleaming bottles, from the floor. Leather in the same shade of blue upholsters the leather seats, and accents the grey couches that dot the space. Look closer, and you’ll realise that Origin Bar is modelled after train stations of yore, with the bar as its ticketing office, and the floor as the waiting area. The cocktail menu is divided into five sections, each related to a local district. These are Orchard Road, Chinatown, Little India, Boat Quay and Marina Bay. Every section has three alcoholic and one-non alcoholic beverage made with ingredients synonymous with the area. We tried a drink from every district, and applaud the effort bar manager Adam Bursik and his team took to reinvent commonplace flavours. Housemade marmalades, distillates, and infusions added intriguing dimensions to all we sampled. Origin, its flagship gin-based cocktail from the Orchard section, was the first favourite. London Dry gin is shaken with a pineapple marmalade that is spiced with nutmeg and peppers, lime wine and sugar cane. The spice cut through the candied sweetness of cooked pineapple in the marmalade, adding a piquant edge to the natural combination of citrus and gin. As much as we hate to associate cocktails with the tired “fruity and refreshing” label, Origin was exactly that, and better. We then tried Safari Tea from the menu’s Chinatown stop, which flaunts blends made with traditional Chinese ingredients and herbs. 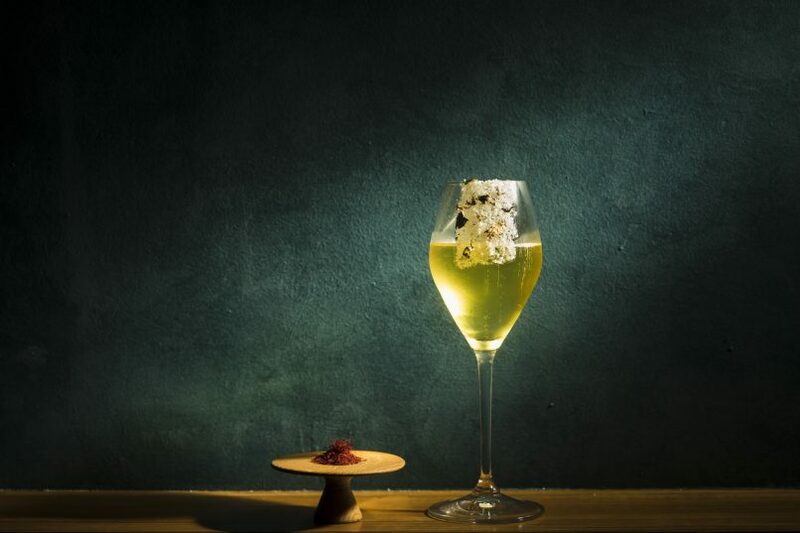 A blended whisky is stirred with a chrysanthemum and bamboo wine tincture, as well as jackfruit. The latter is barely discernible, so the cocktail remains a pleasant medley of floral and herbaceous notes. Leaf The Curry was another standout. 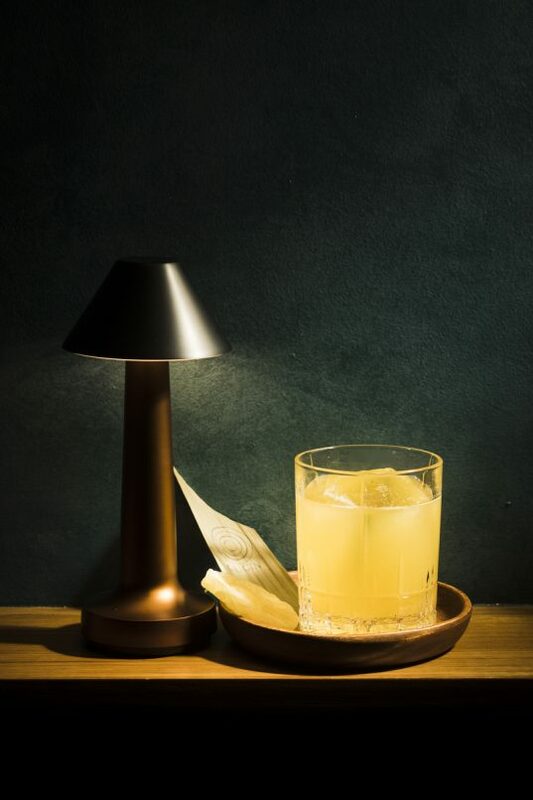 Found in the Little India section of the menu, which Bursik calls an ode to the district’s “poetic chaos”, the cocktail melds aged rum, a homemade tamarind syrup, and cardamom in perfectly balanced proportions. The combination, with the sour-sweet tamarind and honeyed rum, is reminiscent of homemade sarsaparilla. This is Bursik’s proudest creation, along with Million Dollar Fee, a mix of coconut distillate, champagne, and saffron. Next was Sanic, a blend of yuzu peel, kumquat compress, sake and tonic. The Japanese elements here correspond to Sanic’s place on the Boat Quay section of the menu that centres on the fruits of trade. It is an easy crowd pleaser — light and fizzy with prominent kicks of dried citrus. The trip our palate took around old Singapore closed with The Pearl, from the Marina Bay section, wherein all the cocktails are a testament to the spirit of innovation. Its base is black forest gin, barley shochu, and elderflower with an unexpected inclusion: Tofu. Sounds like an odd mix, but the silken soy staple adds a creaminess and a nutty touch to the tart blend that is ingenious. 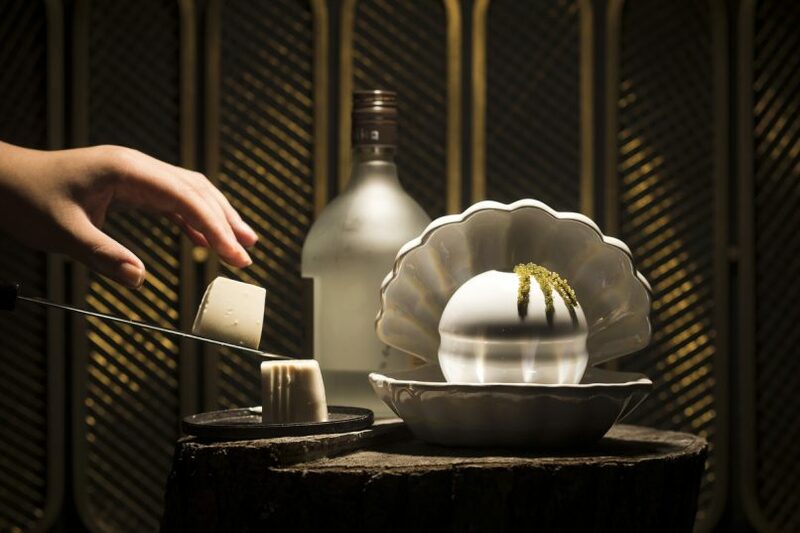 The Pearl also arrives in an actual, ceramic pearl glass, enclosed within a porcelain clamshell. Plus points for presentation. Origin Bar also serves spirits, beers, wines and a selection of classic cocktails. The food is a departure from the localised tale told by Origin Bar’s cocktails. Its American-style bites are some of the best bar snacks we’ve tried this year, and trust us when we say that is not a statement we dish out lightly. 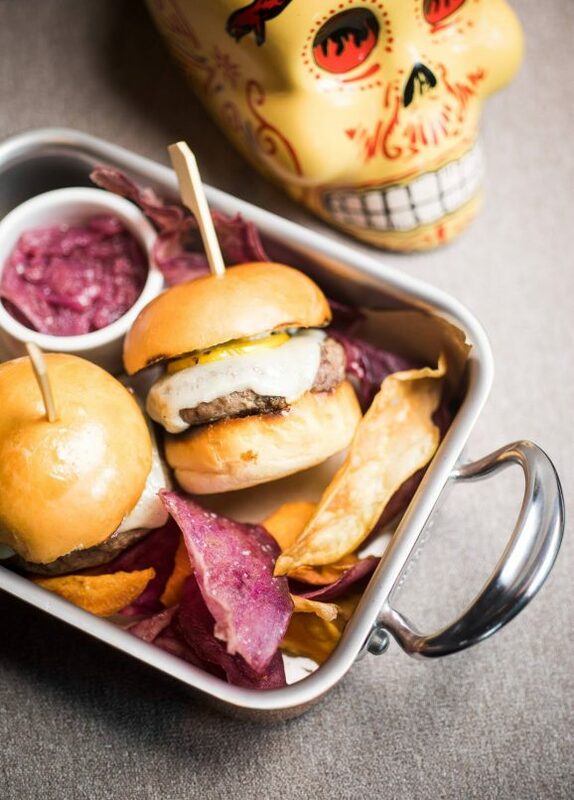 Corn nachos with camembert dip, chunky guacamole and salsa are an immediate yes for those who prefer to nibble as they drink, while those gunning for something substantial should order its juicy blue cheese and wagyu sliders or (and!) the fluffy, buttermilk-battered chicken wings that pack serious crunch. For a hearty carb sidekick, order the skin-on sweet potato fries with (more) blue cheese sauce and jalapeños. Even if cocktail menus steeped in local heritage are not an untested theme in the local bar scene, Bursik and co.’s adroitness when it comes to balance and flavours, as well as the finger-licking food options make Origin Bar a compelling drinking destination to visit. Monday to Sunday, 12 pm to 2:30 pm (Lunch) and 6pm to 10:30pm (Dinner). Price: S$50-S$60 per pax, with food. Noise level: Slightly noisy due to the music, but not unusual for a bar.